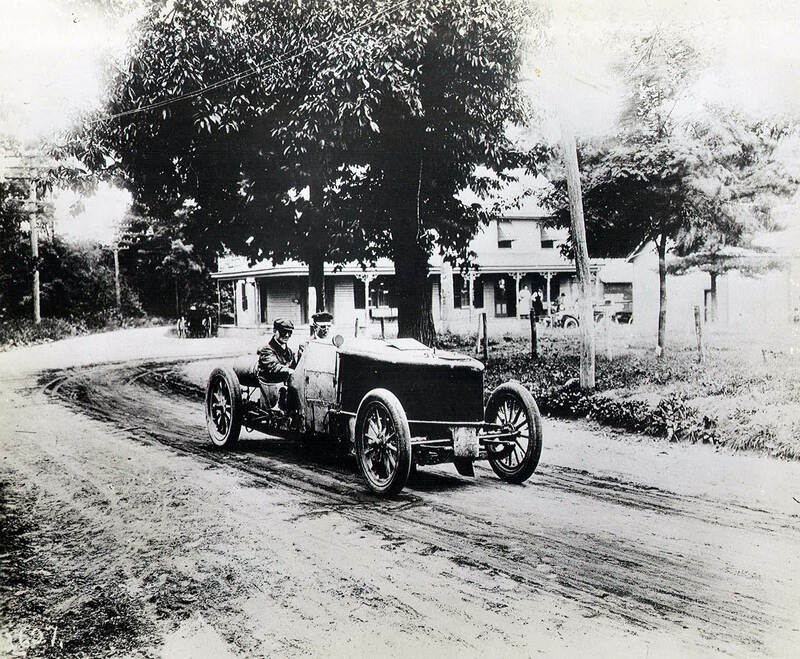 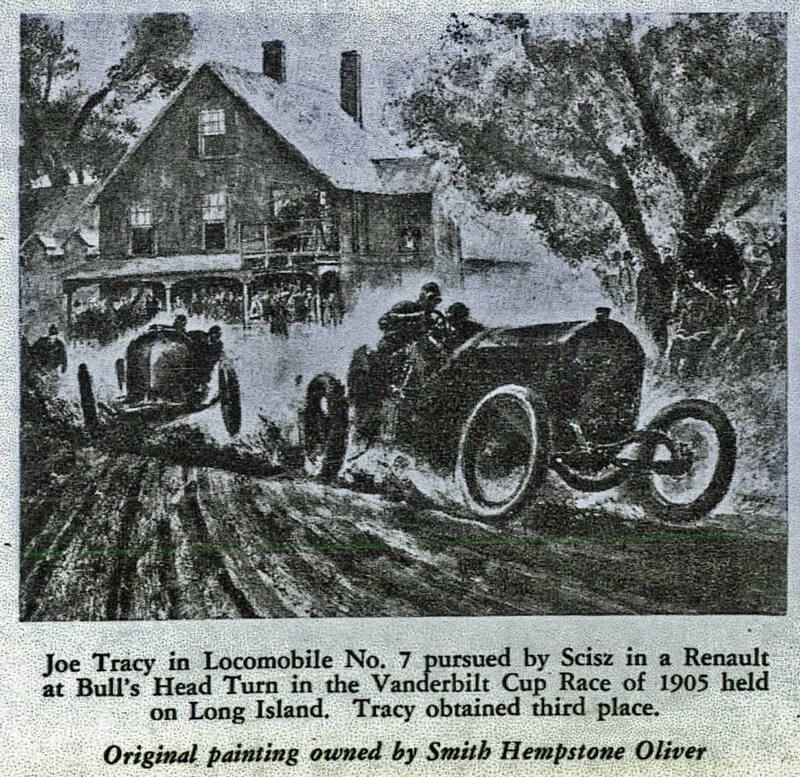 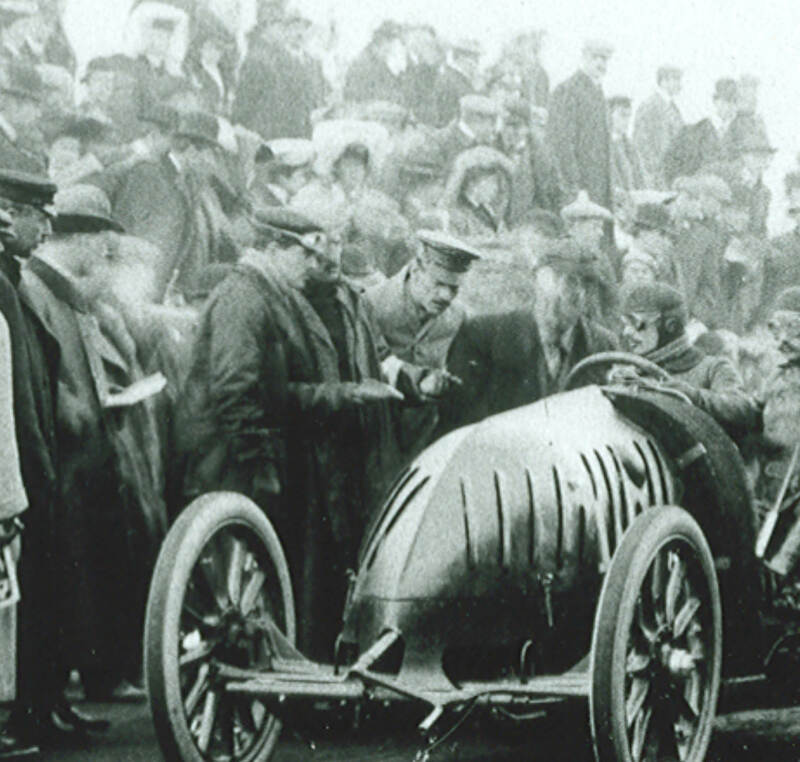 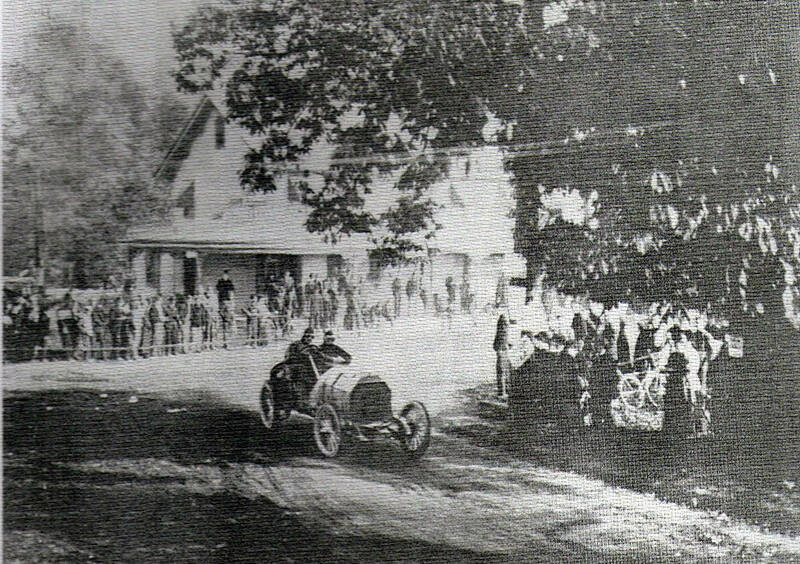 In 1941 Peter Helck created this marvelous painting of Joe Tracy in his Locomobile battling Ferenc Szisz in a Renault at the Bulls Head Turn in Greenvale during the 1905 Vanderbilt Cup Race. 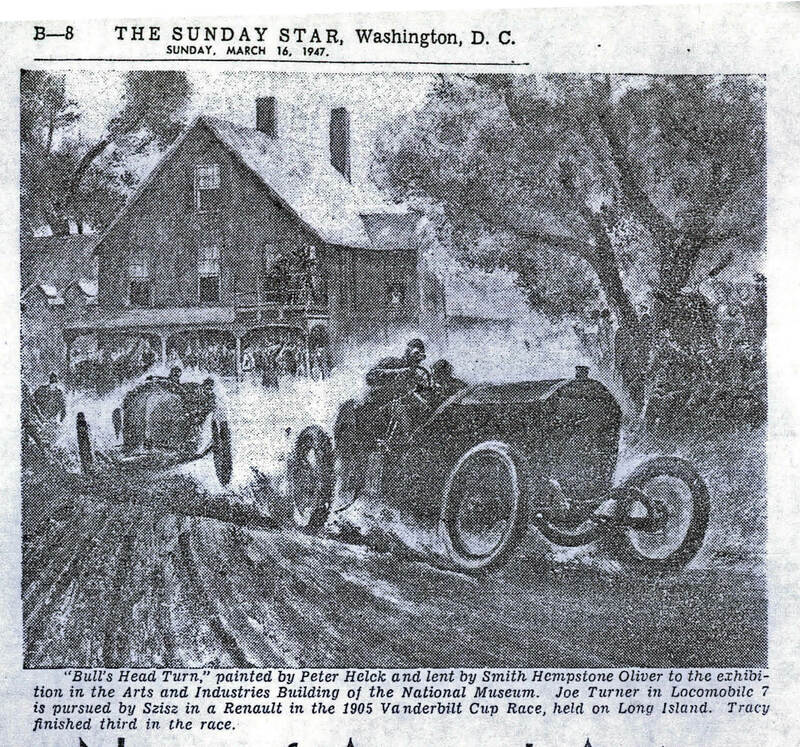 The painting was owned by Smith Hempstone Oliver, the first transportation curator for the Smithsonian Instiorution. 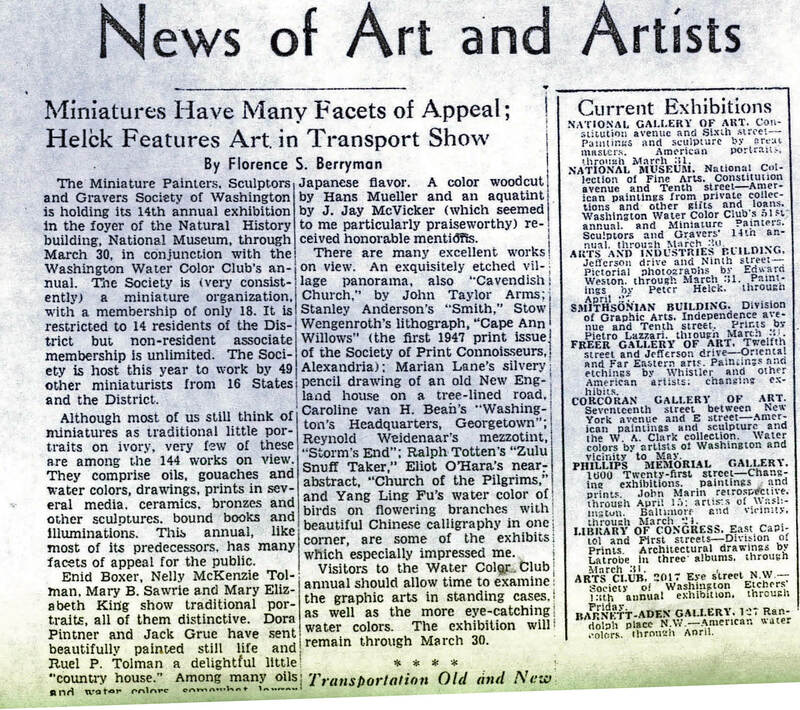 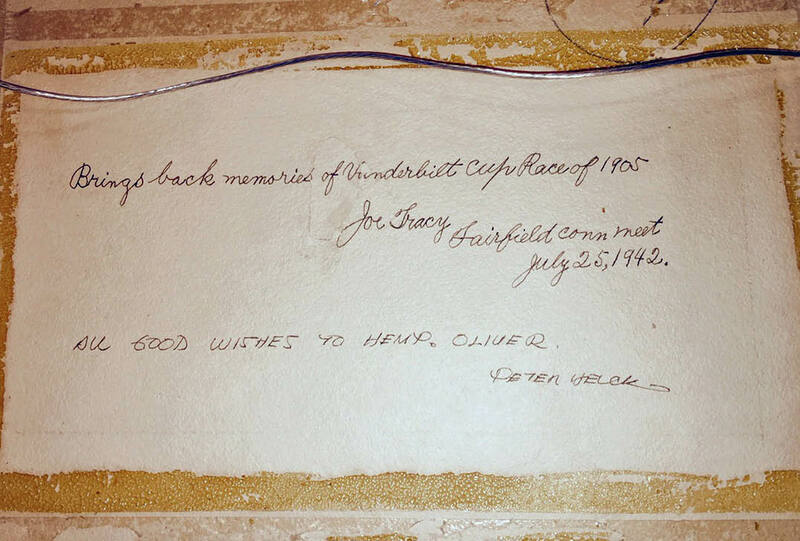 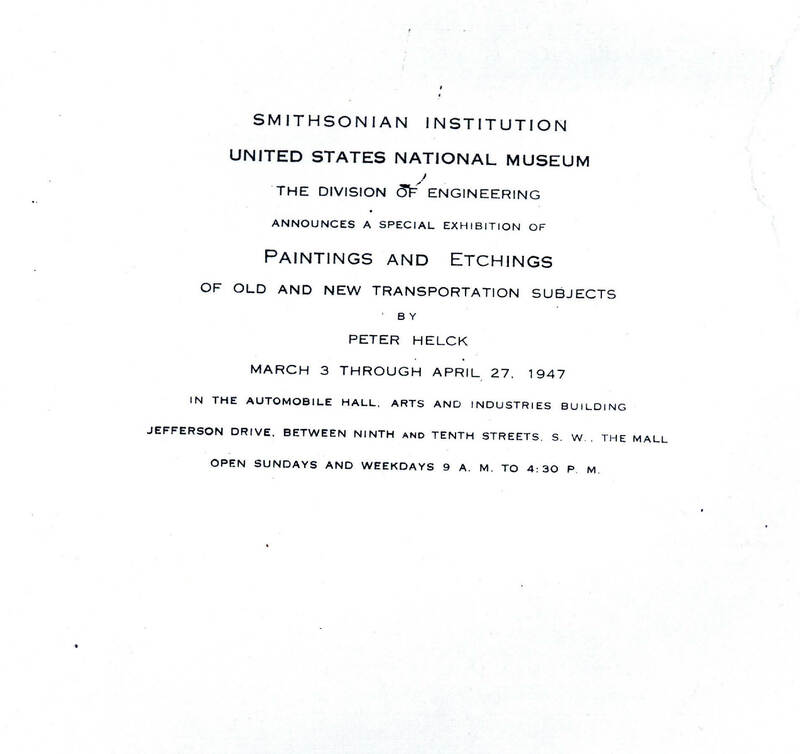 Oliver featured this painting and other Helck paintings along with the Vanderbilt Cup trophy during a 1947 exhibit at the United States National Museum in Washington, DC. 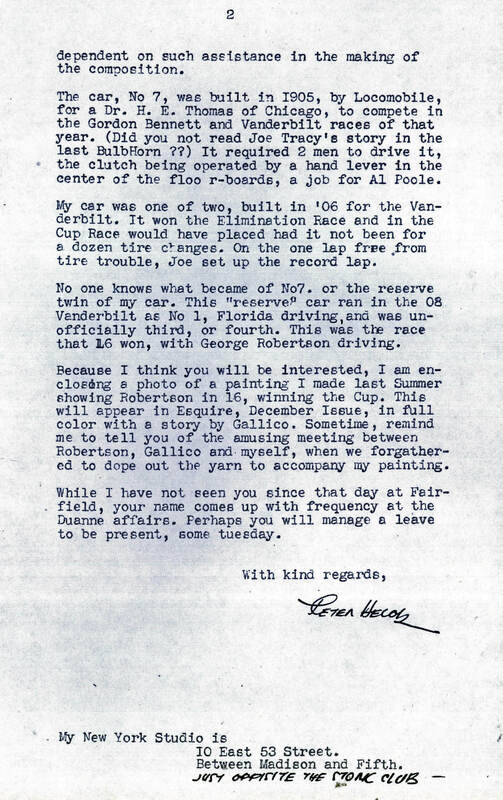 Below is documentation of this painting, including the special signed messages found on the reverse side when the matting was removed. 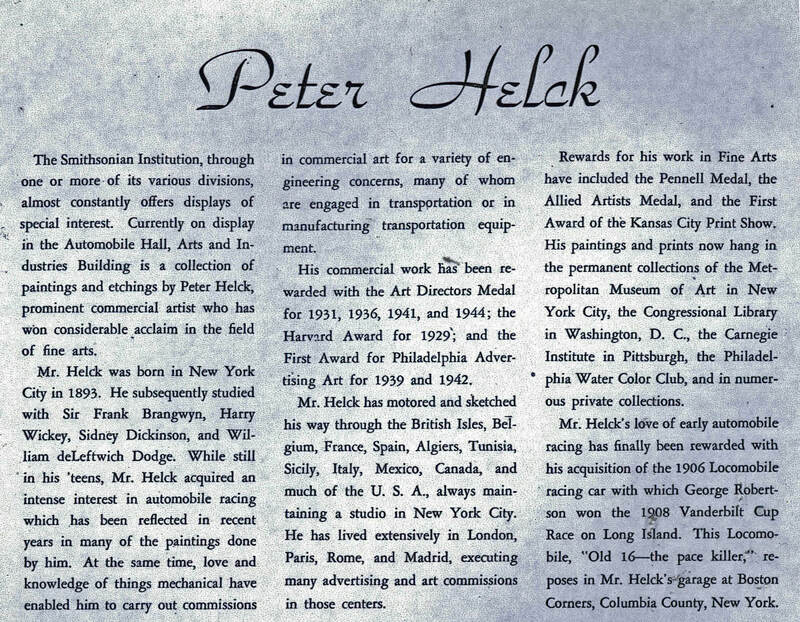 Peter Helck: "Picture was not made from memory , nor a photo. 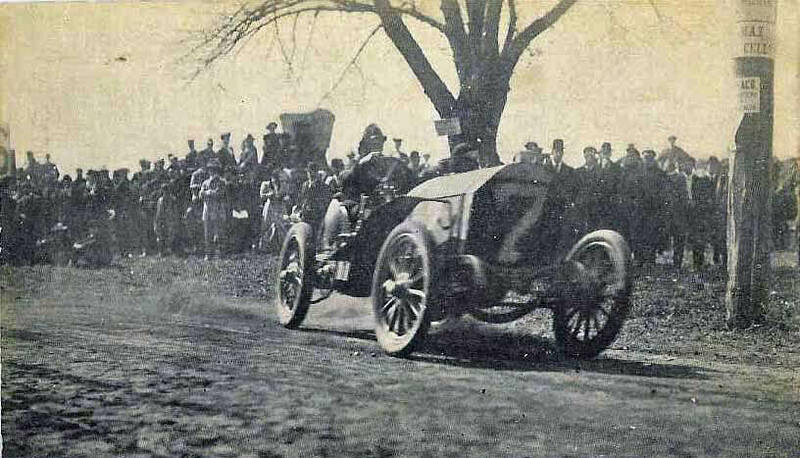 Rather from a thousand impressions gotten from auto racing and a specific interest in the two cars shown. 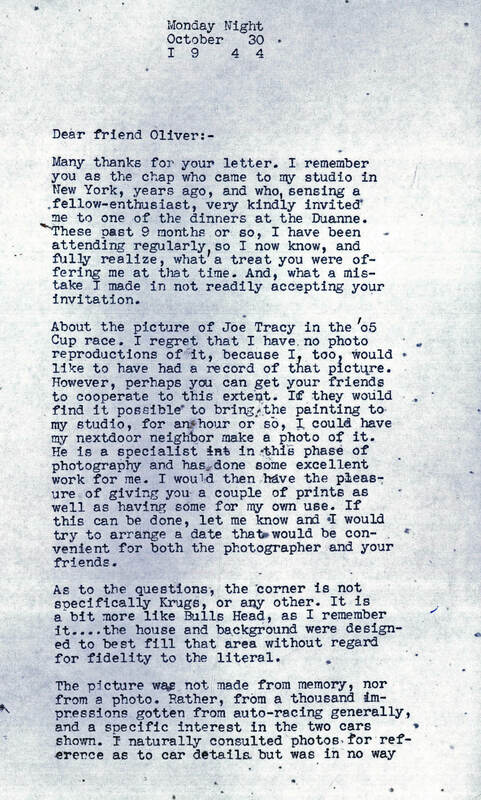 I naturally consulted photos for reference as to car details but in no way dependent on such assistance in making the composition." 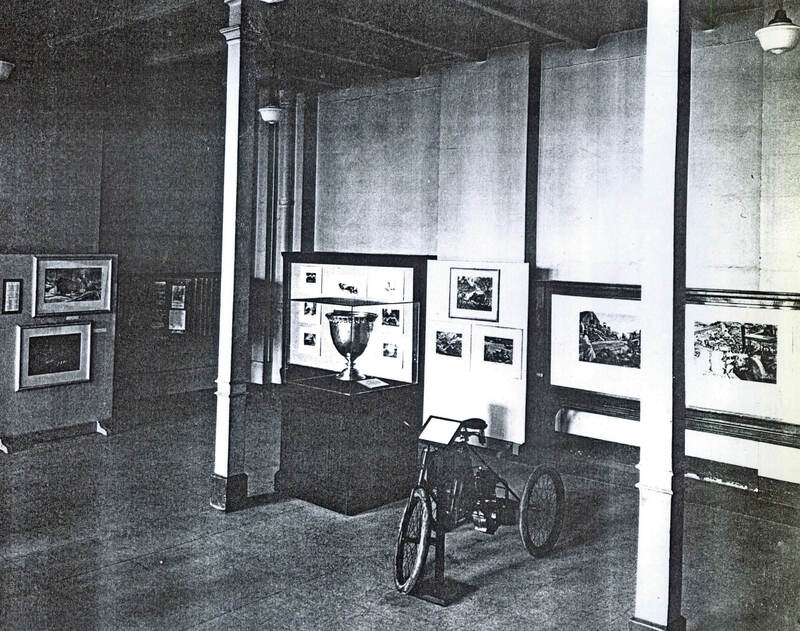 The painting can be seen behind the Vanderbilt Cup trophy. 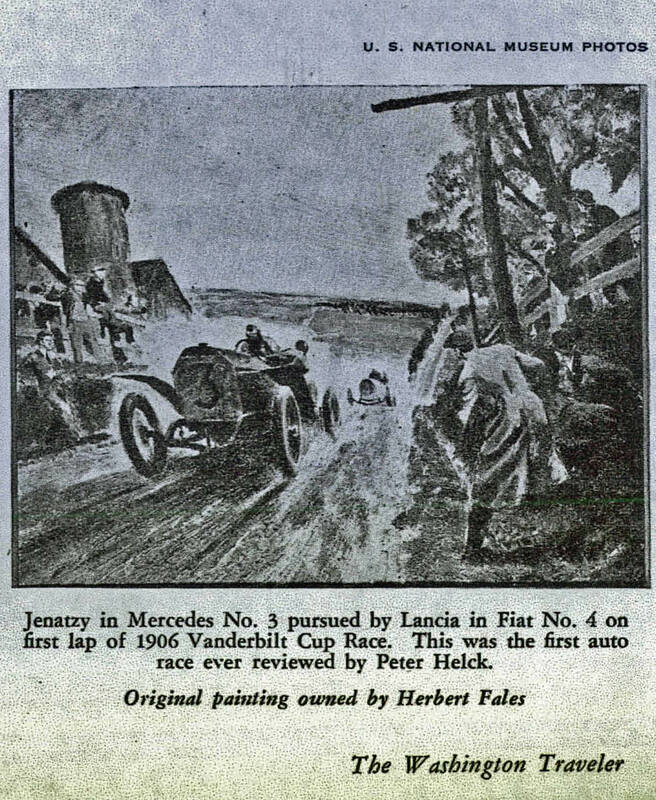 These photos may have been used by Peter Helck as reference for the painting.